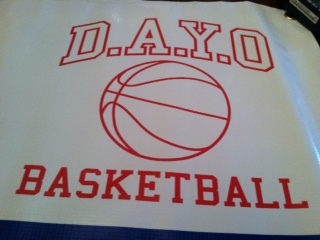 Mission ---Danbury Athletic Youth Organization (D.A.Y.O.) is a year round, self-supporting, non-profit organization committed to offering high quality athletic activities to the young people of the Danbury area from ages 3 through 18. We believe in providing a variety of programs with the goal teaching sportsmanship, teamwork in an organized sports environment, building on excellence to offer an enjoyable and rewarding experience. The basketball program offers boys grades 6 through 12 and opportunity to play organized competitive basketball during the winter. The D.A.Y.O. league teams play each other for the championship. The athletes learn the value of an important lifetime goal: individual achievement through team participation. The emphasis is on learning the fundamental mechanics of the game and the importance of sharing the glory for the benefit of the team. Basketball is a demanding sport both physically and mentally. The players end their season with visible improvements in conditioning and with sharper minds. In addition, there is an end of season awards banquet where each player's accomplishments are recognized. For girls ages five to fifteen, the cheerleading program is designed to provide support and increase spectator participation at the football games. Sanctioned by Pop Warner, the cheerleaders compete with other squads throughout the region. Cheerleading teaches the individual discipline and team cooperation necessary for cheers and routines. The program is offered in the late summer and through the fall, and there is an awards banquet to recognize the contribution of all participants. Four levels of cheerleading are offered, allowing the girls to grow in ability and confidence and to test the limits of their skills. Many D.A.Y.O. cheerleaders go on to become members of area high school teams and continue cheering in college. Played in the spring and designed to be an introduction to football with an emphasis on passing, catching and learning the basic fundamentals of the game. There are four divisions of play for boys and girls ages 5 - 15, playing 7 x 7. The two younger divisions use flags that stop play when an opponent removes flag from the belt. The upper two divisions play one hand touch to stop each play. Games are played on Sunday's from May - June. teams practice once a week. D.A.Y.O. 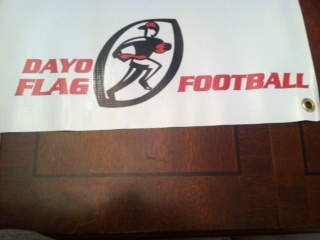 is the sponsor of the nationally renowned Danbury Trojans Pop Warner football program. The Trojans have consistently won league, state, regional, and even national championships. The D.A.Y.O. Pop Warner football program is acknowledged to be among the best in the country. 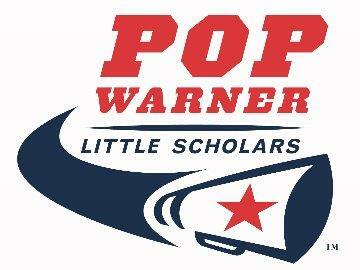 Pop Warner football is offered on six levels for boys and girls ages 5 to 14. The teams are matched by age and weight in order to ensure that no physical mismatches are encountered. At the lower level, the emphasis is on the fundamentals of the sport. As the athletes advance through the program, they learn the finer aspects of the game, and increase their understanding of the importance of individual performance in the context of teamwork. Every position is equally important to the success of the play. Football is a physically demanding sport. Top conditioning is stressed from the first day with running, calisthenics, and drills. The players are outfitted with the best protective equipment available, and are carefully monitored by the coaching staff. Football is also mentally demanding. Each player is required to memorize and execute a variety of plays and frequently in a number of different positions. In addition, he or she must be constantly aware of changes on the field and quickly adjust to provide the appropriate response. The program begins August 1st and ends in the fall. Practices are held in the evening during the week with games played on the weekends. At the end of the season there is an awards banquet. Each player's contribution is recognized and each player receives a trophy for his/her accomplishments. PLEASE NOTE: All registrants must establish membership with US Lacrosse prior to taking part in any DAYO LAX activities. The online membership registration includes your US Lacrosse membership and is built into your price for spring registration. There is no need to go to US Lacrosse separately. We will handle that process. Make sure you complete the US Lacrosse section of your registration when registering for spring play. · Indoor Practices - Starting mid-January (schedules TBA). · Winter Clinics - great for both new & returning players! 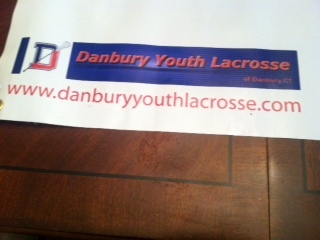 · · Danbury Youth Lacrosse T-Shirt - you get to keep it! With over 450 (4-7 yr old) children playing T-Ball, this is D.A.Y.O. 's largest program for the youth of the Danbury area. The game gets its name from the "T" that is used to hold the ball for batting (simular to teeing up a golf ball, but at the right height for hitting). There is no pitching in T-Ball. The program is designed as an introduction to baseball, but the game is focused on non-competetive instructional play. Action on the field is frequently stopped so that the coaches can teach the players or correct their techniques. T-Ball is a program for both boys and girls. At the end of the season, which runs throughout the spring and into early early summer, there is a T-Ball picnic for the players and their families. For many children, this is their first experience in a team sport where they can learn the benefit of cooperation with others for a common goal while developing the skills they will use later in competitive baseball. The Danbury Lightning offers boys and girls in grades 3 through 8 the opportunity to get into great condition while learning about and competing in Track and Field. Practices are designed to allow each athlete to reach their potential in a fun, competitive environment. Practices are held in the evening during the week, with meets in the afternoon during the week or on the weekend. Coaches will work with the team as a group and work with individual athletes independently on specialty events, such as hurdles and field events to ensure that they are prepared for success. Our focus is on building character, self-esteem, and teamwork in our athletes. The Spring Season is run during the school year, beginning in March and ending in early June. At the end of the season there is an awards banquet. Each athlete is recognized for their participation with a certificate, with outstanding accomplishments being recognized with medals. The Summer Season begins in early June and ends in early August. It presents a great opportunity for athletes to start or continue their training while seeing increased competition. It’s also a great way to stay in shape going into the Fall. The Winter (Indoor) Season starts in November and runs into late February. It is perfect for preparing for the Spring! 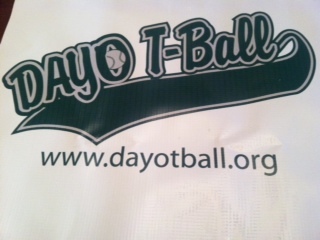 There are over 1200 families participating in D.A.Y.O. Programs. All programs are funded through registrations, fund raising, and donations. Please consider helping us out. We appreciate your help and support. At this time we are fund raising for equipment and uniforms. Continues to grant annual scholarships to High School Seniors who are DAYO Alumni. DAYO participates in many Danbury Community Events, Danbury Memorial Day Parade and we offer FREE Speed and Agility Clinics in the summer to all kids from K to 9th grade.